Whales are truly awesome, and, if we didn't know better, we'd say that they came from Venus or Mars because they look like they're from another planet! There are a lot of whale species, but we, the regular folks, only know a couple of them - the ones that we've seen in the BBC documentaries and/or cute cartoon movies. The recent Hollywood blockbuster, In the Heart of the Sea, showed these creatures from a different angle and made us believe that they can be super-scary and dangerous. However, usually, they are peaceful creatures that don't attack anybody and like to keep to themselves. Or are they? Check out the following craziest facts about whales and learn the real truth! 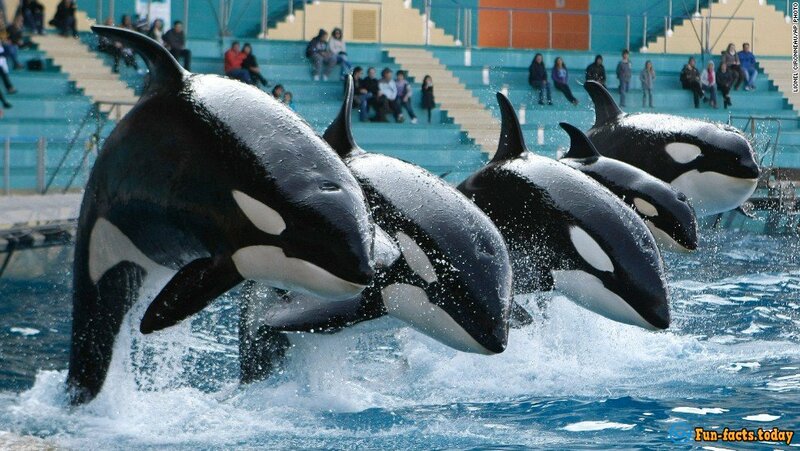 - Whales are marine mammals, and we generally use this word to describe a huge line-up of sea creatures. At the same time, dolphins and porpoises are not included in this "group", even though some people still call dolphins whales. I guess it's up to you! - Crazy fact about whales: The sperm whale (yep, that's the official name! ), the orca (folks call it the "killer") and beluga have really tiny teeth that they used for hunting. Whales have blowholes and flukes, and that's why they're included into the "cetacea" family. - The smallest whale on record was a pygmy sperm whale that was just 3.5 meters long. As for the largest and scariest one, there was this huge blue whale that weighed 180 tonnes (!) and reached 30 meters in length! - Whales had been hunted for centuries for their bones, meat, and, of course, oil. Their oil was in large demand because folks made soup out of it and used the oil in lamps. Thankfully, today, in the 21st century, whale hunting is illegal and nobody does it anymore. 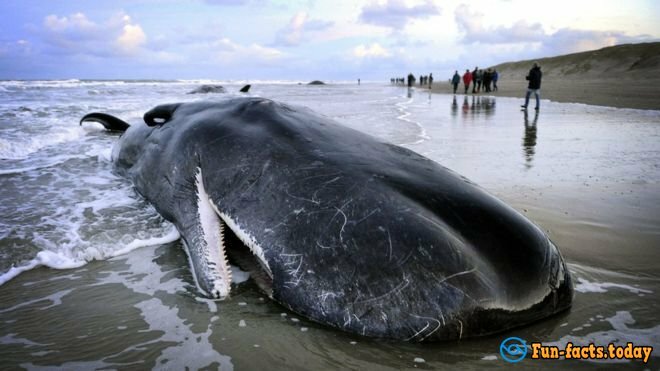 - Because of the fact that we had been killing these poor creatures for hundreds of years, most whale species are now endangered. - The craziest facts about whales: The scientists claim that whales are the direct descendants of a species of dinosaurs that used to live on the land. Furthermore, the hippopotamus is considered to be the closest relative to the whales! - Whales are warm-bodied and their blubber is used for storing energy that keeps them alive when cold, harsh winters come around. - Female whales are called "cows", while male whales are known as "bulls". As for the babies, they are called "calves". Most females give birth to only one calf. 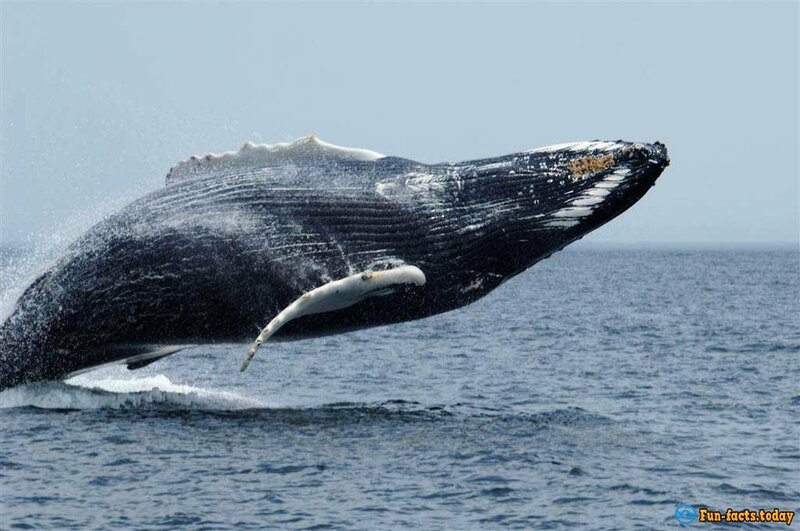 - The baby whales reach maturity in 7 to 10 years. These creatures like to live in families and stick together, and a group like that is called a "pod". - Crazy fact about whales: Did you know that when a whale goes to sleep one hemisphere of its brain remains active? It's true! Furthermore, the scientists claim that these creatures are capable of communicating with others, learning and teaching. They even say whales have emotions! Whales communicate with each other with "songs", by the way. - Ever seen a whale slap its tale against the water? Well, it does that to scare the smaller fish when it's out looking for food.